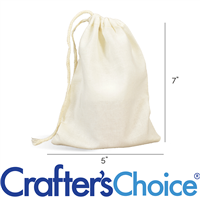 Muslin Bags are made of lightweight cotton cloth that add a natural feel to your soaps and cosmetics. 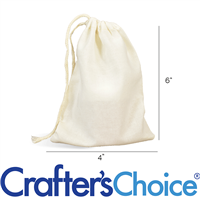 Use this to package your handmade natural cold process soaps, air fresheners, or small gift sets. These are perfect for your natural look! Measures 5 by 7 inches.